Most language learning resources or materials are not for the advanced learners. Nor is it what language teachers usually talk about. There is quite a bit for those intending to study or for those going for tests (TOEFL, IELTS, etc), but as far as helping take you to the really high levels in a language, most are left to their own devices. So what can you do if you are a well advanced learner? All of these may help some, especially the last, but are not what will take you to the really high levels. Language usage may well do, but for many it does not. aim to sound like a native speaker. The list is endless and that is why there can be no classes to encompass all of that! You can of course take on a language learning coach, but that too can have limitations. Some people do reach the highest levels of another language, and these people are usually regarded as talented. However, as I have mentioned before, it is not so much a matter of inborn talent as it is a matter of knowing what to do to get the result. Some people figure it out, most don’t. Then there are those, that never seem to get there. Discarding the issues of lack of opportunity (which of course may be for some a very significant factor) to converse or use the target language, the issue can be boiled down to the learner getting stuck with certain ways of being, ways of thinking and ways of doing which do not serve the learner in their endeavours. Ways of being – People can be overwhelmed or just affected by who they are. Affective matters is just one such factor that can prevent them from being sufficiently present to their experiences. It is our experiences which teach us, and at the higher levels of language there can be nothing else. The text books, instruction and so on just can’t hope to cover all there is to cover. The issues that may hold us back can be anything from being self conscious, insecure and worrying about what others think to be just too full of oneself, preventing the person from regarding what others say to be of value. Fundamentally the result of all this is an impeded capacity to listen. Listening is without any doubt one of the critical factors in learning a language. Learning a language is also much more about discovering a new way to express ourselves, and much less of translating one way into another. This kind approach requires a certain openness and readiness to embrace new ways of seeing yourself and the world, which all implies a certain willingness to let go of how one perceives the world. This is all about a way of being. Changing how we are and who we are can of course be a far more difficult matter to deal with for most people than mastering, say, a particular grammar point no matter how complex that may be! 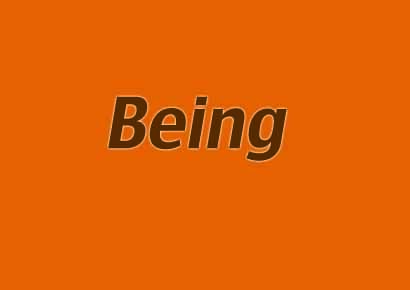 We get stuck with beliefs (entrenched ways of thinking which we identify with) for many reasons, fundamentally though it is a result of something that happened in the past. Either it is something we saw, read, heard or experienced, none of which may make that belief valid for the present situation we are in. We change, the world changes and what happened in the past occurred for as a result of the situation we were in then. It may well not be relevant now but because we are attached to them, we make it so. The human condition is that we feel attached ( to a lesser or greater extent) to our beliefs. Many people, for example, travel overseas to learn English in an English speaking country believing that immersion is so important. Whilst there is nothing wrong with that belief, immersion of itself will not enable you to get to advanced levels IF your ways of being prevent you from participating with the locals and listening well. Or, if your ways of doing don’t properly process your new experiences. So believing one thing, even though it have some truth to it, can become an issue when the thought is – all I have to do is that and I will learn! What may have worked at the lower levels, studying grammar as a case in point, will not work at the advanced levels if you study the same way. For rectifying the odd problems, and for some extension yes, it might. However at the advanced levels we are talking about refinements and subtleties in the main. So we need to open oneself and indeed seek ways that can help us with them at these high levels. This returns us to ways of being – being open, willing and able to learn from our experiences! 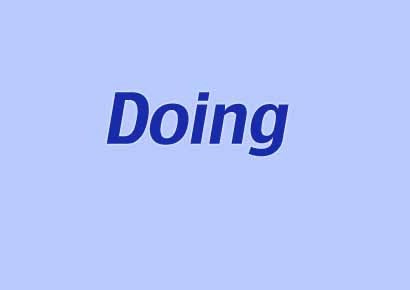 Ways of doing – This is to do with how we go about learning. When we are committed to particular ways of learning a language and not willing to search for or even entertain other ways. This is closely connected at times to ways of thinking as usually thinking is a precursor to action. However there are differences that it make it valuable to look at the problem from both directions. It is also connected to our way of being, as if we are, for example, an insecure type of person we will gravitate towards ways of learning that expose us less ( so we may prefer learning through reading and writing) and away from ways of learning that put us in situations where we will feel uncomfortable. 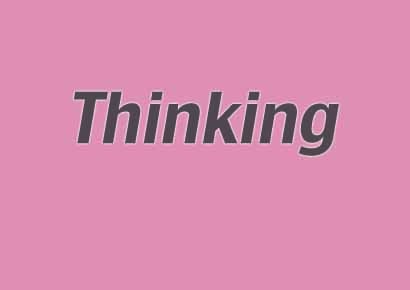 Being stuck with thinking one thing may stop you thinking about different thought, like for example improving your grammar through watching movies. Being convinced that how you are learning (for example translating everything) can stop you trying other ways of learning ( working harder on your listening, for eg). Ultimately it is the way you do things that will affect your results. Without doing, the rest amounts to nought as it were. Action is where the rubber hits the metal. That is where your proof will come from, namely in the results you achieve from your what you do.